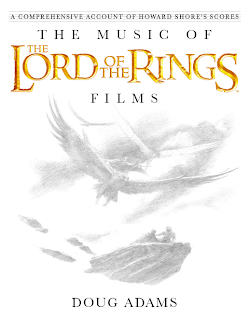 Ladies and gentlemen, after many hard years of labor, it gives me great pleasure to present to you The Music of the Lord of the Rings Films! What you're seeing here is our full dustjacket, which features an all new piece of art by Alan Lee, "The Music of Gwaihir." Alan was kind enough to step temporarily away from his duties on The Hobbit in order to create this sketch for us. Our entire production is forever indebted to both Alan Lee and John Howe for their tireless support and endless creativity. 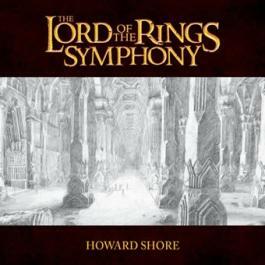 Our goal for the jacket art was to find something that represented both a strong musical moment in Shore's conception of the story, and the overwhelming positivity inherent to Tolkien's work. This white and gold jacket will be spot varnished over the title and author, and will fit over a black and gold embossed cloth cover with gold head and tail bands. The piece also fits in with our conception of the book's interior ... but you'll have to wait and see what I mean on that one! I've placed an additional view at the Twitter and Facebook pages, so feel free to do a little poking around. I've found this to be a very delicate piece, and it doesn't always show up as well on monitors as it does in person. So by all means, please click for a larger view, then investigate the the additional angle -- they will likely help form a picture in your mind. Our upcoming press release will contain all the information you're looking for: publisher, page previews, pre-order info, etc. July will be a busy month for us, believe me! However, all involved felt that our blog community should get the first look at our new jacket art. 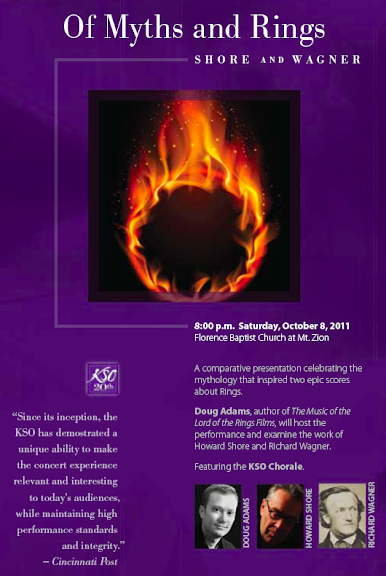 We're incredibly proud of the way it came out. Thank you again to Alan Lee for the incredible -- and quite moving -- artwork, and to Gary Day-Ellison for his vision and skill in assembling the pieces. We are just getting started, folks. Hang on tight, this is the fun part!